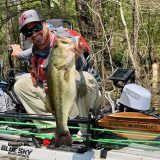 WILLSONVILLE, OR (July 25, 2018) – The RVX1000 3D CHIRP Sonar brings RealVision 3D high-powered CHIRP Sonar to Raymarine’s new flagship MFD system, Axiom XL. 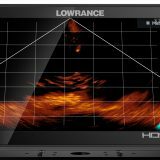 This powerful, all-in-one sonar module ticks all the boxes for “must-have” technologies for coastal and offshore fishing. Every channel delivers stunning underwater imagery that looks amazing on Axiom XL’s oversized, full-HD displays. 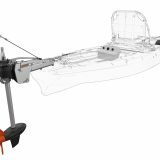 Available in 16-, 19-, 22- and 24-inch sizes, the Axiom XL range is right at home on the helms of the world’s best center consoles, sport fishing boats and luxury cruising yachts. The RVX1000 can be customized to fit any boat with a wide range of available transducer options. The RVX1000 has dual transducer ports. 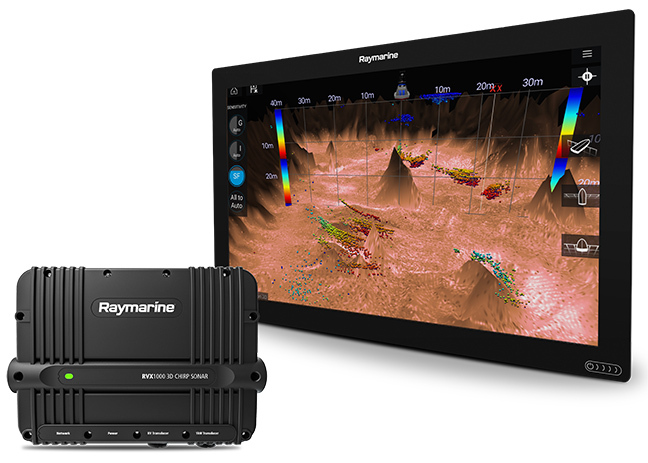 Port 1 supports a Raymarine RealVision 3D transducer system while port 2 supports a wide range of AIRMAR broadband CHIRP transducers. RealVision 3D, which shows you in three-dimensional space the exact position of gamefish, baitfish and structure underneath the water. You can rotate the RealVision 3D image and view it from any angle. It’s truly a game-changer for understanding where fish are located. 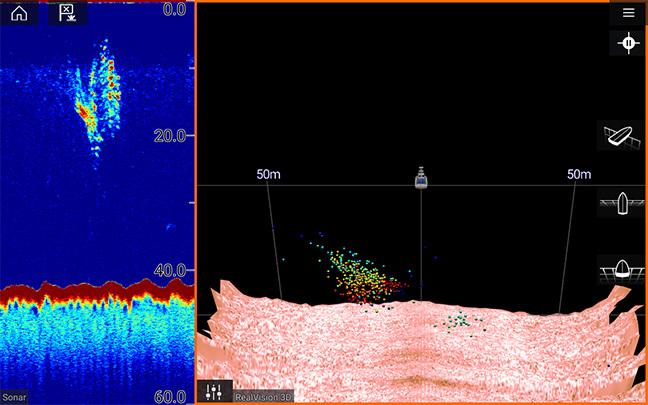 RVX1000’s CHIRP Sonar channel identifies fish, bottom composition and density. CHIRP DownVision, which gives you a high definition, 2D view of underwater structure, bait and gamefish as deep as 600 feet. CHIRP DownVision uses ultra-high frequency CHIRP sonar and a very narrow beam that combine to make photo-like images of the underwater environment. Gamefish and man-made underwater objects (like wrecks and debris) are instantly recognizable by their shape and size. 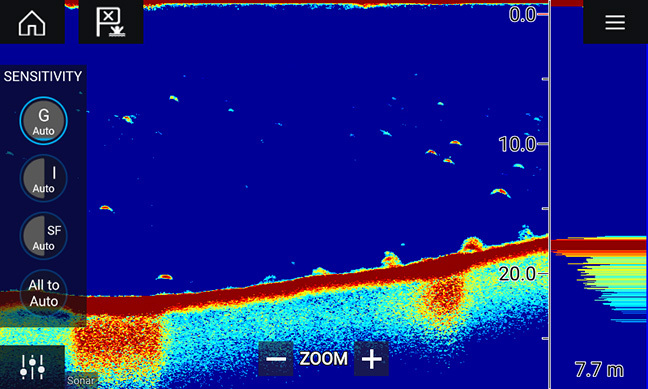 CHIRP SideVision, which is a side-scanning sonar using high frequency CHIRP frequencies. CHIRP SideVision can see out to 300-feet on both sides of your boat in water as shallow as 1-foot. Like with DownVision, SideVision produces photo-like images of gamefish, structure, and bottom. High Frequency CHIRP, which is used for spotting gamefish and bait balls to depths of 900-feet. Sonar at this frequency is also good for determining the bottom density and composition. 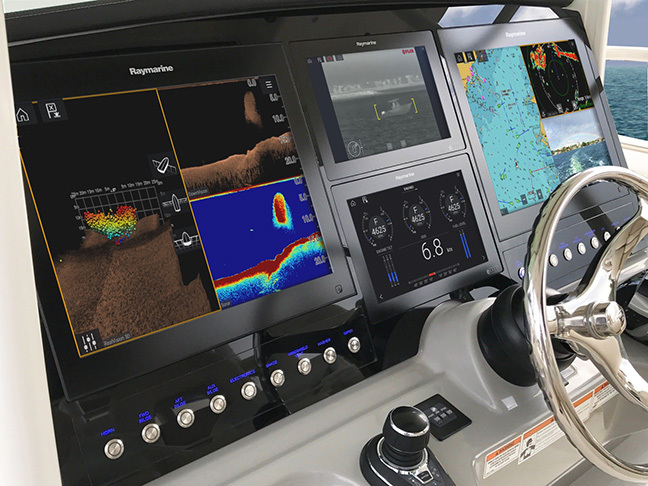 RealVision 3D shows you precisely where fish are located below and around the boat. 1kW CHIRP, which delivers outstanding deep-water performance in depths up to 5,000 feet. The 1kW CHIRP sonar supports low, medium and high frequency bands that provide excellent performance in coastal and offshore waters. Many different sizes and styles of Airmar broadband CHIRP transducers are available to customize the system to your boat and the types of fisheries you are interested in. Owners of Raymarine eS and gS Series systems can also take advantage of RVX1000 sonar. These systems can be upgraded for free to Raymarine’s latest LightHouse 3 Operating system and then networked with the RVX1000 or other Axiom family multifunction display products. You can learn more about upgrading to Lighthouse 3 and RVX1000 sonar here.